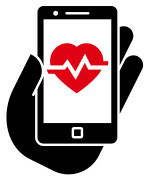 A word from Michael Mosley: Welcome to the Online Program! I want to introduce you to something new. 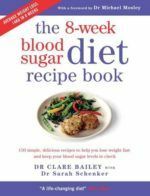 I originally wrote the 8 Week Blood Sugar Diet because I wanted to tell people about pioneering work showing how you can dramatically improve blood sugar control through a rapid weight loss diet. Many people have found the Blood Sugar Diet, and the accompanying Recipe Book, life changing. Others, however, contacted me to ask if there was a way to get more detailed support and guidance. They liked the book but they wanted more. So I’m delighted to say that a group of doctors, nutrition and exercise specialists, who I know and respect, have created a Blood Sugar Diet online program. It’s for those who want to reclaim their health but feel they need more support to get started and to follow through. It’s a 12 week program, because for some people 8 weeks is not enough. It includes detailed meal plans, shopping lists, calorie counted recipes, educational handouts, inspirational videos and a medically supervised forum. The online program also includes a much more detailed guide to effective forms of exercise, all of which are safe to do and scientifically based. Hundreds of people have already done the programme, have lost lots of weight and managed to dramatically improve their blood sugar levels. I think this is a really welcome development and, along with the doctors, I will be following people’s progress with great interest. Would you like to taste the Blood Sugar Diet? This two day BSD sample including a menu, shopping list and all the recipes you’ll need will show you that taking back control of your health could be the most delicious decision you’ve ever made. Sign up here to explore your BSD menu today!